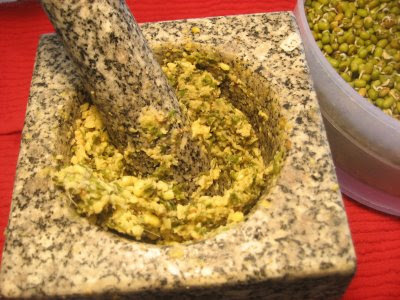 Coarsely grind the sprouted moong along with green chilies and ginger. I did mine with a mortar and pestle. Add finely cut onions , salt and mix it well. Heat oil in a kadai. 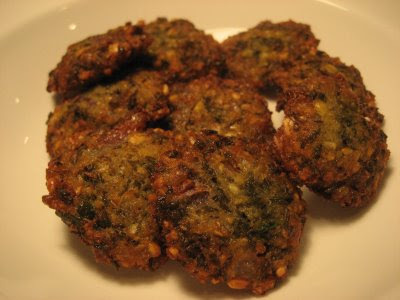 Once the oil is hot, take a small ball of moong; flatten it on the palm to form a small disc. Gently slide it into hot oil. Deep fry them in oil until it become golden brown.